Joost de Valk is the founder and Chief Product Officer of Yoast and the Lead Marketing & Communication for WordPress.org. He's a digital marketer, developer and an Open Source fanatic. Our mission statement is SEO for Everyone. On many fronts, we’re making good on that promise. In 2016, Yoast SEO added revolutionary checks to content and readability analysis features. Much of that year was spent improving and enhancing the content part of the plugin. In 2017, we’re fixing the site structure problem, by adding, among other things, an internal linking tool and cornerstone content checks. Now, we’re taking the next step: Yoast SEO 5.0 features a brand new, and awesome, text link counter. SEOs can probably build solid site structures in their sleep, but for the rest of us, it’s hard work. We need every kind of help we can get. This process requires a lot of work. That’s why we’re starting to make Yoast SEO a tool that can not just help you with improving your content and different kinds of on-page optimizations but transcend that to a site-wide level. Yoast SEO 5.0 kicks things off with the introduction of the text link counter. It’s the first tool that looks at your site from a site-wide SEO perspective. We all know how important – internal and external – links are. The web is based on links. We all form connections that lead us from one place to another. Links build a site structure. We, however, often encounter sites that hardly use links to form connections between different parts of the site. Without a well-thought-out linking structure, there will be no site structure. But how do I link correctly? Is there a way to check the links I have on my site and how do I know which articles link back? Well, now there is. New icons in Yoast SEO 5.0. The arrow pointing out is the number of internal links in an article. The arrow pointing in is the number of internal links to this article. The traffic light is the SEO score, while the feather represents the readability score. Hover over the icons to see more information. The text link counter in Yoast SEO 5.0 analyzes every part of your site and presents all the internal links found on your WordPress site in two new columns. The first one – the icon with an arrow pointing out – shows the number of internal links an article has, while the second column – arrow pointing in – shows the number of internal links pointing to this post. By browsing the overview, you can easily see which posts and pages are linked. You can also discover which posts don’t have enough links or which links could be improved. You might even find pages that have just one or no links at all. This way, you can prioritize the posts and pages you need to fix to build up your site structure. Read Marieke’s post on why you should use the text link counter. We’re making this tool available to every user of Yoast SEO because we think everyone can use a little help in building a solid site structure. The absence of a strong structure is one of the main reasons many sites fail to live up to expectations. Let us help you fix it. We want to improve your site from a holistic SEO perspective and lower the barriers to do so. Every part of your site has to be perfect to be the best possible result. To keep track of your linking structure, we have to add a table to your database. If you are running into problems with this, you can get more information in this entry on our Knowledge Base. New features are cool, but we’re also still focussing on expanding Yoast SEO’s language abilities. In the past releases, Yoast SEO received initial Italian support: transition word and sentence beginning assessments. In Yoast SEO 5.0, we can now calculate the Flesch Reading Ease score for Italian. This way, you can see exactly what the perceptive level of the text is. We’re continuously researching better ways of implementing language support. In this case, after much deliberation, we’ve upped the maximum sentence length from 20 to 25 based on in-depth research into the use of the Italian language. The second supported language we’ve enhanced in this release is French. Thanks to Sylvain Perret and Vianney Andre we can now offer full insights and linking suggestion in French. Full support for French is expected soon. 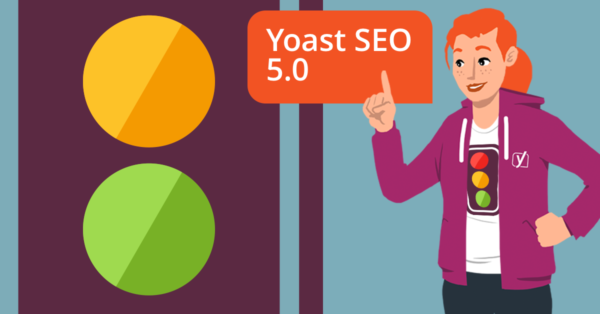 Yoast SEO 5.0 is another milestone release that makes SEO a bit easier for everyone. We’re offering you a new way to look at your site and the content within. We’ve made links visible and usable, so you have to spend less time figuring out how everything is connected. Now, hit that update button and go work on your site structure! the link counter feature is probably one of the most amazing features Yoast has brought in this year. Thanks for the update. Can you create a short video tutorial on how to manually add the table and share the link? It will help us a lot. Thanks! Hi Pedro, we decided to only count real text links as they’re most valuable for SEO – and there are some practical reasons for that too. Your related posts are valuable for sure, but never forget to add text links too, they’re the best! Very useful update by the Yoast team. Great jobs guys. Already used it with no issues – drilled down to some old blog posts I could add some internal links into. Great to hear that, Keith! I would like to use this, but I only see one column and not two. When I tried to run the ‘count links’, it was running more than 2 hours for only 100 posts. I had to disable it. At the same time, it seems that the download time in gtmetrix went up from 2.4 to 4.2 seconds after this. Please advise how to solve this. This page has 0 nofollowed outbound link(s) and 5 normal outbound link(s). 4 of the links are pointing to pages on the same site. I use Multisite with subdomains. Hi Philip! The first time you’ll need to run the function “Count Links in your texts” under SEO > Dashboard > General. Once it’s completed, you should see two link counters on the posts overview page. On the other hand, notice that Yoast SEO considers links between subdomains as outbound links, that’s probably why the Yoast analysis says you have 5 normal outbound link(s). Great tool! Question: I found a page with 0 inbound links, so I proceeded to make a link to it on another page. When I go back and look at the internal links stats, it does not show that a link is pointing to the page but # of outbound links on the page I created the link on goes up by 3! Am I missing or misinterpreting something? Thanks. Hello Good afternoon after updating to the last version I do not appear what you say in the link that I attach. I also have another problem that does not analyze content. Version 5.0.1 I can not access my wp admin area. When I disable pugin via FTP everything returns to normal. When clicking on Count links button, nothing happens, it just says Text 0 of 23 processed no matter how long I wait! Running the latest version. What do I do? Same here on one site. Two others started but are stuck on 15 of 91 and 20 0f 216. Only one (small site) went without issues. Thought that i would put in my two cents (doesn’t seem like an issue already mentioned in the comments). I updated two sites to 5.0 yesterday. However, i have a site in siteground staging… when doing gtmetrix, site went from approximate 9-10 seconds to 14.5 seconds load time. I suspect that this is picking up the links to staging, which i suspect should resolve when site goes out if staging…. just worth mentioning. The other site was fine, not in staging… and stayed at about 2-2.5 secs load time. So, i do suspect that the links to staging are the issue. Hi Kenny! Can you please forward the issue you’re experiencing to plugin support? Thanks! We deactivate yoast and the pages and posts re-appear???? Es ist ein Fehler in der ‘fleschReadingEase’ Bewertung aufgetreten. Feedback Es ist ein Fehler in der ‘textSentenceLength’ Bewertung aufgetreten. Feedback Es ist ein Fehler in der ‘textTransitionWords’ Bewertung aufgetreten. Feedback Es ist ein Fehler in der ‘passiveVoice’ Bewertung aufgetreten. Feedback Es ist ein Fehler in der ‘sentenceBeginnings’ Bewertung aufgetreten. Please, how can i fix that? This is usually caused by a conflict. Please review this knowledge base article: How can I get support? Thank you, i will check it out! Sounds awesome! Definitely an improvement. Hi, this morning I updated 3 plugins including Yeost SEO 5.0.1 this morning. Suddenly my website pops up High Security Alert originating from our Fortinet 600C firewall with the message “You are not permitted to download the file “””” because it is infected with the virus “HTML/ScrInject.B!tr”. It it caused by this plugin? Hi Fadly, Did you find a workaround, I have the same behaviour on my website (behind a fortigate) except that I don’t have Yoast plugin. The text link counters are a great idea! However, it doesn’t seem to be working for content created with Thrive Content Builder. All my link counters are at 0. Could you also scan where the content of Thrive Content Builder is stored? Can you please submit the issue to our GitHub repository for Yoast SEO? Thanks! As the issue is a conflict with another plugin or theme, we highly recommend reporting the issue to the development or support team of the other plugin or theme. Having both teams work on the issue is a benefit to you. If you have not submitted an issue previously, this guide will help you submit a complete report which may result in a faster resolution. Thanks for sharing, great tool! Just an FYI that I had to do a ‘bulk update’ on all my posts for the number of links to show in the column in the dashboard. You’re welcome, Jonathan! Thanks for your useful addition. FYI – small but important typo in the caption under your first image. You’re referencing “internal links” in both instances. Never mind, my bad. I misunderstood the link tool idea. It’s all about the internal links. Hi Jules, it’s not a typo :-) we’re counting the internal links to your post – so the links coming from other posts on your own site – and the internal links in your post – so the links from this post that point to other posts on your own site. Hope this clarifies it a bit. How to create this tables in my mysql wordpress database? Your web host can help you create these tables. You can use the example email here. Need the table structure. Can’t create an empty table in mySQL. 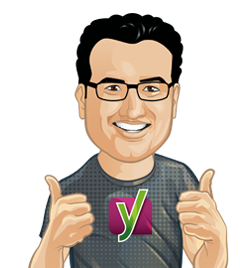 Hi Just loaded Yoast 5.0 and can see you outbound link counted for the most recent post I updated since the install, but I don’t have a field for inbound links. Does the plugin have to crawl the site and this data will show soon or is there a problem? To make sure all the links in your texts are counted, we need to analyze all your texts. Please add support for the Russian language. Yoast SEO 5.0 Cointer Links Error in all my sites!! Same message for me. Looks like my tables have been created (with content), but the error message states otherwise. This problem seems to occur when a hiccup occurs during the first count. It then shows the wrong notifications. It should resolve with time, or you can remove the transients that contain with ‘wpseo_link_’ if you know how to do that. Can you please let me know if that solves the problem for you? Thanks for the reply. How can I create the two new tables, when they’ve already been created? I assume they were created when I first clicked the Count Links button. I like very much your products but seems that is an issue with loading images for facebook. On a desktop/laptop is working if i post on the business page but if i share it on my personal timeline is not working, on the mobile is the same. On mobile if i put the link in fb messenger is not loading the image. Maybe is not the right place to write about it but how can i solve it? Is there a way to turn this off in my admin bar? I use a plugin called admin columns (pro version) and this upgrade is messing that up. Great idea, but I’d rather have the control. Example code for removing the Yoast SEO columns can be found here. Additionally, can you please submit the issue to our GitHub repository for Yoast SEO? Thanks! As the issue is a conflict with another plugin, we highly recommend reporting the issue to the development or support team of the other plugin. Having both teams work on the issue is a benefit to you.